Moving can be a very stressful experience. 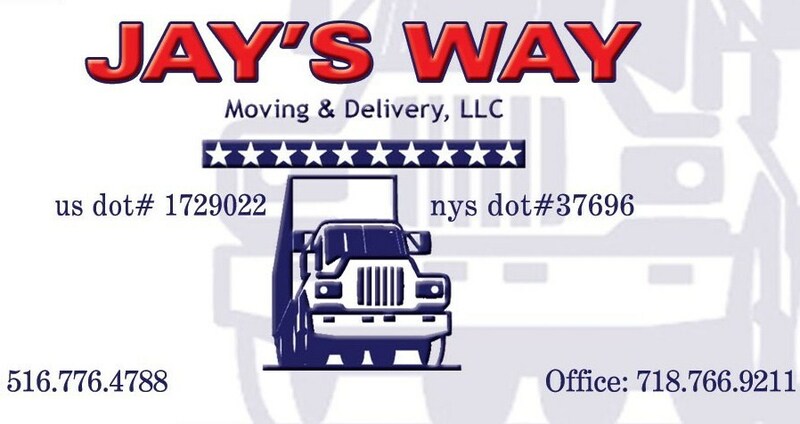 At Jay’s Way Moving & Delivery LLC, we take that stress right off your shoulders and put it right on our backs. We will save you time, money and aggravation with our reliable and qualified moving crews that provide years of moving experience, so place your self at ease. All your furniture will get wrapped and thoroughly protected in our special moving blankets, and we use corrugate and bubble wrap for special attention pieces. No matter big or small from a single piece of furniture to a fully furnished house, Jay’s Way Moving & Delivery, will treat each piece and every customer with the TLC it deserves. Our goal is to make your move as easy as possible, and we are strongly dedicated to leaving you with a pleasant experience so you can refer us to your friends! 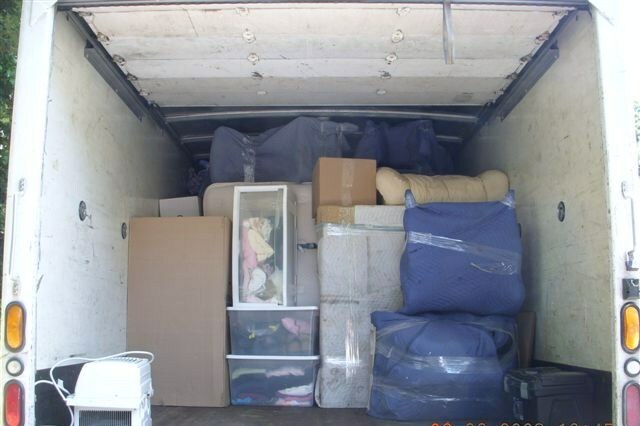 Jay and the team were professional, fast, responsive and did a great job with my move from Queens to NJ! They showed up on time and even though I was up a 4th floor walk up they managed to get all my furniture and stuff down in all under 2 hours! Even helped disassemble and assembled my massive wardrobe. I was stressed about furniture I had to get rid of and didn't want to throw it away but Jay's team informed me they could take my sofa for me to donate to VA which was such a huge help! Nice and friendly team. They are on point and reliable! Proposal for move is reasonably priced. 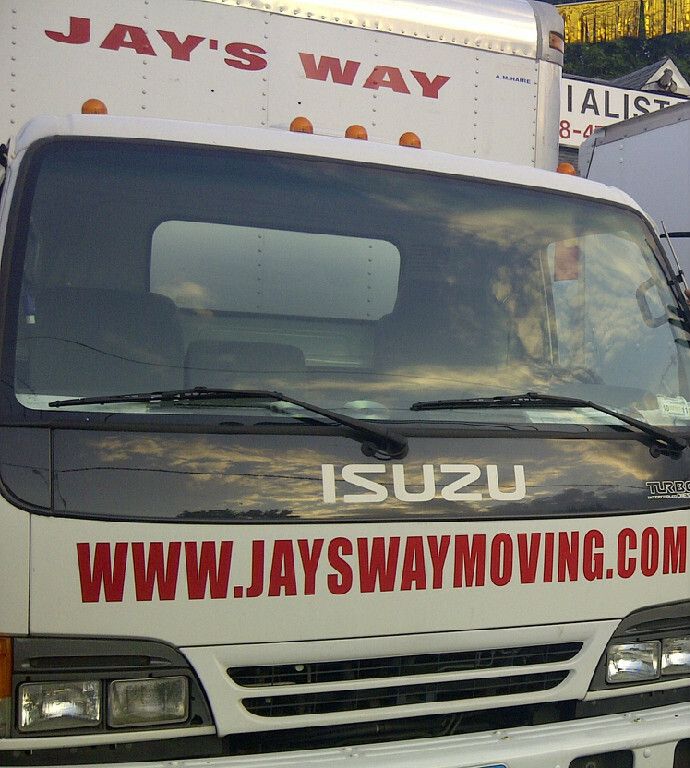 I highly recommend calling Jay's moving for your next move!! BEWARE HIRE AT YOUR OWN RISK!!!!! !If I can leave less than one star I would. I had Jay move me and my girlfriend once before and it went off without a hitch. So I hire him to move me again two years later and here's were the problem starts. He never showed up even after confirming the night before. I continuously called him when 30 minutes past the agreed upon arrival time he was still a no show. I think I must have called him 10-15 times still never receiving an answer before I finally gave up and rented a uhaul and did it with the help of friends and family. I never received a phone call or apology or anything. Jay and his team member was extremely professional and very considerate. My parents were visiting me during the move and I was stuck at work. He continued to reassure them that everything would get done and they did not have to worry! I highly recommend this moving company!! What great service! Quick, reliable and friendly service. Fair pricing too. Jay clearly cares about what he does and has a great crew. They made our move a much easier transition by being so nice and helpful. Would definitely use in the future and recommend to anyone looking for movers in Queens. Amazing movers! Jay and his wife helped me move out from my elevator building to a walk-up building. They were professional, fast and responsive. They also helped me move my mattress up to the loft my new apartment which was super heavy. Great guys, would definitely recommend them!